Oh my goodness y'all, this weekend has been a doozie! My darling daughter brought home a case of Hand, Foot, and Mouth disease from school that I contracted and let's just say it's not something I'd even wish on my worst enemy! This week's SUNDAY SEVEN is inspired by my desire to snuggle up in a pile of blankets and sleep for a week until this passes! It's full of everything cozy that would make anyone feel better, even if they're not sick! Seriously the only thing that has sounded good this weekend is the thought of curling up under a blanket and watching Christmas movies! When curling up, you have to have a cozy blanket, and this adorable one from Anthropologie isn't just cozy, its cute as well! This one is on sale too for under $100!! I came across this recipe a couple of years ago and was blown away by how good and simple it was! I love making this soup when its chilly outside or when we're feeling under the weather! It is a great weeknight meal when paired with a yummy grilled cheese! Definitely check it out! If you already feel horrible, cute pajamas can go a long way towards making you feel better! This jersey set from Ugg is insanely comfortable making you super comfortable while sleeping off a winter cold! So this one is really specific, but it's worth sharing! This virus I have causes your whole mouth to break out in ulcers as well as the entire length of your throat. Yes, you're imagining correctly. It's seriously the worst thing ever! When I was reading up on it, I kept reading about a "magic mouthwash." One requires a prescription, but this one is easy to make at home, and speaking for experience is the only relief, while brief, that one can get when suffering from this virus! 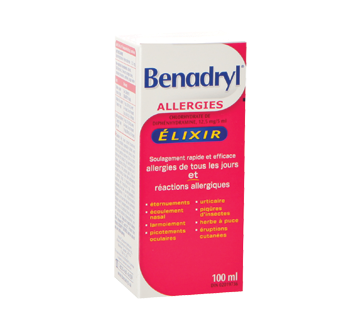 It's equal parts Maalox and Liquid Benadryl, 2.5mL of each. Swish and swallow! I gave me relief for a solid 10 minutes which seems short, but it feels amazing to not be in agony even if only for a short time! **Please keep in mind I am not a doctor and am in no way qualified to give medical advise! Please read all labels and check with your physician before ingesting any type of medication. When I'm sick I feel icky 24/7. One way I make myself feel better is to keep some of my favorite products nearby for a quick refresher throughout the day! 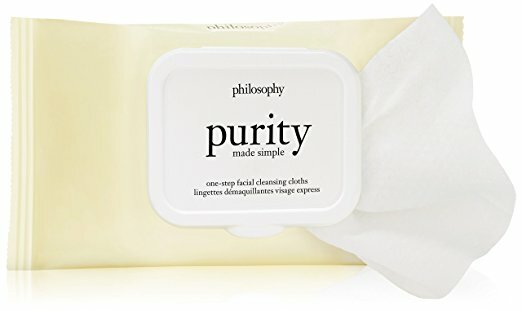 My go to's are Philosophy's Purity Made Simple Facial Cleansing Cloths, Beauty Counter's Rejuvenating Night Cream (I use it a.m and p.m) and good old Burt's Bees! I keep this combo handy next to me on my nightstand or end table so that when I start to feel ick I can quickly freshen in a matter of minutes and it makes me feel better if only on a surface level! Everyone knows the number one way to kick a virus is to stay well hydrated and push the fluids! I personally like to use a motivational water bottle when I'm sick that I can keep track with how much water I'm drinking! I love this bottle because it breaks down how much you should be drinking by the hour so that you can make sure you're staying properly hydrated! I have friends that swear by essential oils, and though I'm not 100% bought into their effectiveness, I sure do love the way they smell! My favorites when I'm sick are lavender and eucalyptus. I just drop a few drops into the water in my diffuser and enjoy the aroma. The eucalyptus is especially helpful when you are stuffy! This is my favorite diffuser! I typically just buy my oils from Central Market, but they can be found here on Amazon!